When most people think of Corona they think of hot weather and dusty and dry trails. At least that’s what I was thinking. The Tin Mine Trail was none of the above. 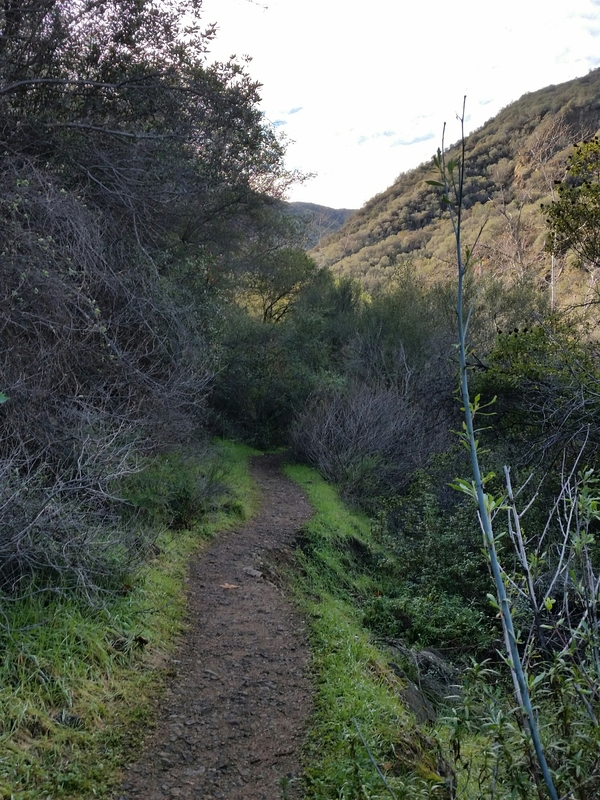 The actual trail is very well maintained and marked. There are signs that point out the poison oak and there are information posts about the mining history of the area. 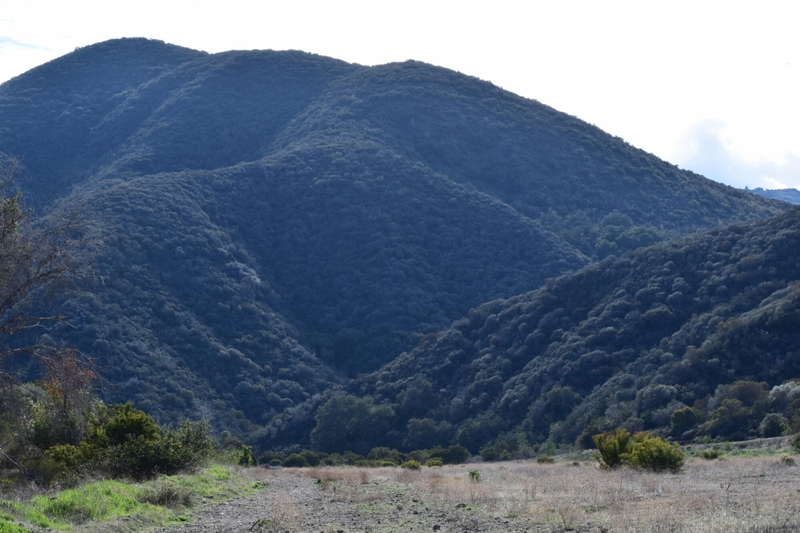 The Tin Mine is all of a mile into the hike and it is right along side the trail. It is closed off to the public with metal posts of course for safety reasons. 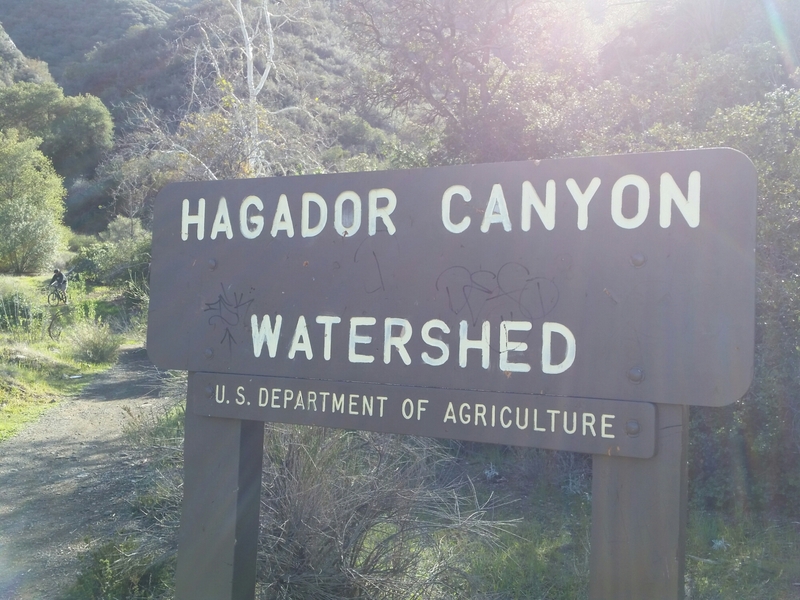 The real fun of this hike takes place after the end of the actual trail. 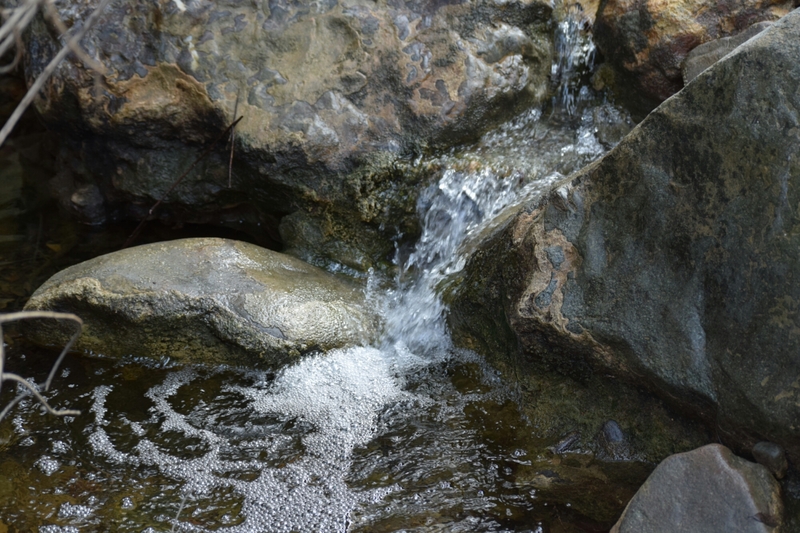 You can follow the creek for an additional two miles or so into the canyon. The vegetation is very dense and the canopy protects you from the sun. On the day that we ventured out here it felt more like a rain forest than the desert. 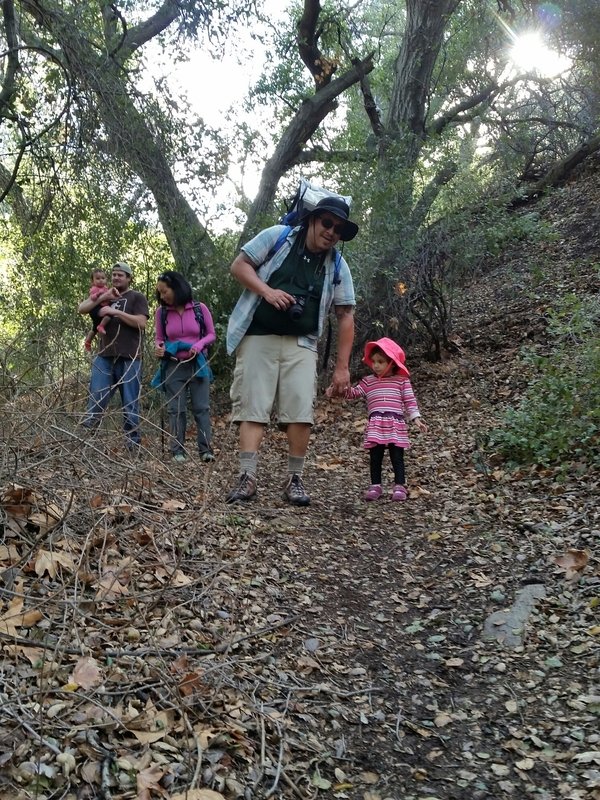 This hike is definitely only kid friendly up to where the marked trail ends. After that it becomes a hike for the more adventurous adults. 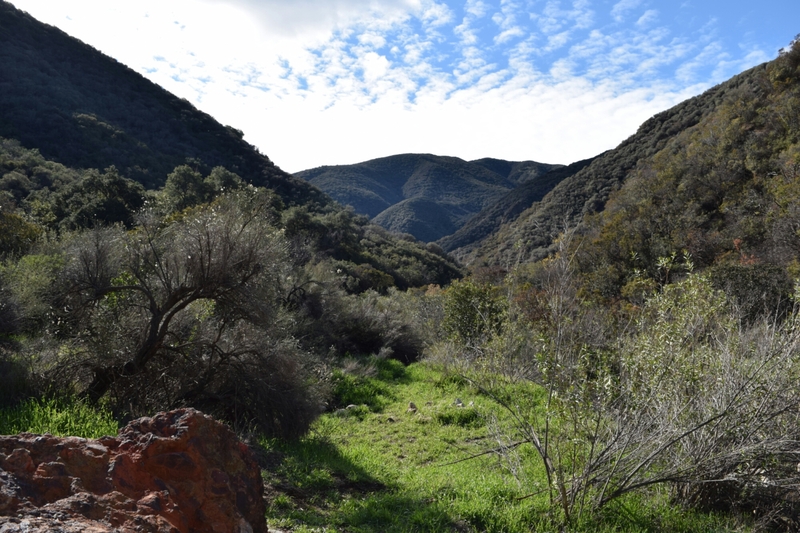 For those that are extremely adventurous, you can actually make your way from this trail up to Beek’s Place on top of Blackstar Canyon Road.